RLD Transportation is a transportation services company that specializes in the movement of forklifts and heavy machinery. RLD provides transportation solutions to more than 4000 materials handling manufacturers, distributors, wholesalers, dealers, and non-industry clients in the continental U.S. and Canada. The company is noted for its understanding of the materials handling industry and its outstanding customer service in the specialized movement of all types of forklifts, scissorlifts, boomlifts, and heavy machinery. 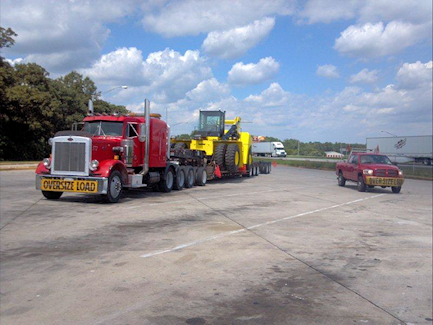 RLD Transportation has more than thirty years experience in all aspects of the trucking industry. Our knowledgeable staff has a reputation for providing outstanding customer service at the best possible price. Whether you need a single Less Than Truckload (LTL) freight delivery, want to arrange end-of-lease returns, repossessions, C.O.D. shipments, blind shipments, or a customized transportation solution, we have the answer. Contact us today for a competitive quote on your next shipment. RLD Transportation, Inc., P.O. Box 79453, North Dartmouth, MA 02747 - Phone: 508.991.6660 © RLD Transportation, Inc.